In this post, you will find the current laws for drone flights in Vanuatu. 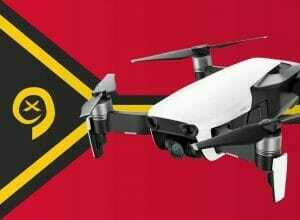 Regardless of its purpose, all drones in Vanuatu must be registered online with the Civil Aviation Authority (CAAV) before entering the country. The registration costs $ 50 per person plus $ 50 per drone. Thus, the cost of registration is at least US $ 100. Maximum Altitude: The maximum altitude allowed for drones in Vanuatu is 120 meters (400 feet). Maximum horizontal distance and FPV: Drones must be visible to the naked eye in flight. If in doubt, a second person next to you can take over the task of monitoring the drone with your own eyes. Compulsory insurance: The aviation authority does not necessarily require a drone liability insurance. However, you may have to prove a policy if you want to obtain a starting permit from the Vanuatu Cultural Council. There you have to apply if you’re going to fly to cultural sites or cultural events. Maximum take-off weight (MTOW): The maximum permissible gross weight of a drone in Vanuatu is 25 kilograms. Distance to airports: The minimum distance to airports is fixed at four kilometers. Other safety distances: Further safety distances are currently unknown to me. No-fly zones: After registration, you will be given access to the list of no-fly zones. Operating hours: Drones may only be used in the country in daylight. Special legislation: The entire airspace over Vanuatu is part of the controlled airspace. Therefore, drone flights must be approved in advance. The CAAV provides the Drone Logbook, a helpful tool to register your planned maneuvers. Regulations for commercial pilots: In Vanuatu, there is no distinction between private and commercial drone flights. We have researched the listed drone regulations for Vanuatu to the best of our knowledge. We cannot guarantee the correctness of the information. If you want to be on the safe side, contact the competent aviation authority. Alternatively, you can also ask the embassy in your country for further information about the regulations. Please leave us a comment when you receive news and/or gain experience with your copter in Vanuatu! Yes, your information is accurate, the drone.vu website and subdomain for Registered users is a ‘live’ site. Information is always the latest and updated within minutes when changes are required. Our goal is to provide a ‘pro-drone’ environment and encourage managed drone tourism. The drone registration cost is very ex. Total Usd100 bucks! Hello, looking for information on to whether it is possible to leave the drone with customs at the airport? I’m only passing through Port Vila for a couple of days, onwards to Brisbane and don’t want to pay (and of course, not use the drone). Morocco has somewhat similar process to leaving at the airport if you don’t get approval or want approval. I’ve already emailed the official email, but no response. Please help! Thanks. I am sorry, but I have no idea if you can leave the drone at the airport. I finally found an email for customs at Vanuatu and decided to give them a try – it went really well! They replied back within 4 hours with the below response. Sharing for those who are looking for more information. I fly in this upcoming Sunday and will report back if I have trouble. Cheers. To your query,​ Yes you can leave your drone at the customs office upon your arrival. What date is your arrival? Upon your arrival you must inform the duty officer’s about your drone. The officer’s will give you a detention notice slip in which you will return the slip to the office on your departure to collect your drone. Hi Josh. What is the email address for customs in Vanuatu? I emailed support@drone.vuand received an answer.